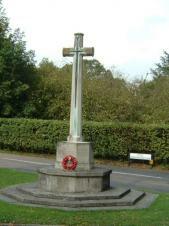 Berkhamsted War Memorial, close to the entrance to St Peter's Church in Church Lane, commemorates the residents of Berkhamsted who were killed or missing in World War I and World War II. XHTML 1.0 validated. WCAG compliant. Page generated in 0.3263 seconds.